Stix2 has a vast range of Foam Pads and Tape.... In fact we have over 60 different shapes and sizes be this clear, white or black. Tape on a roll, foam pads on a roll or sheets. 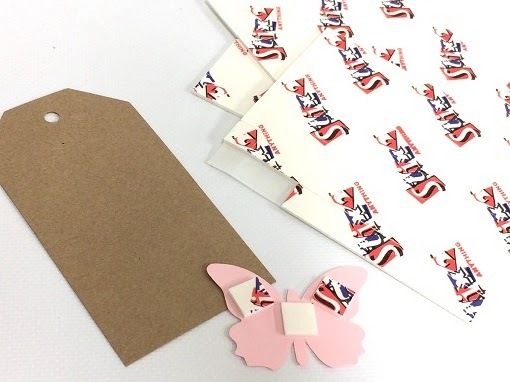 Double sided foam is ideal for adding thickness and dimension to your card or craft project with easy release liners. our full range of sizes can be found on the Stix2 Website and larger rolls for class and workshops in the Jumbo Rolls section. 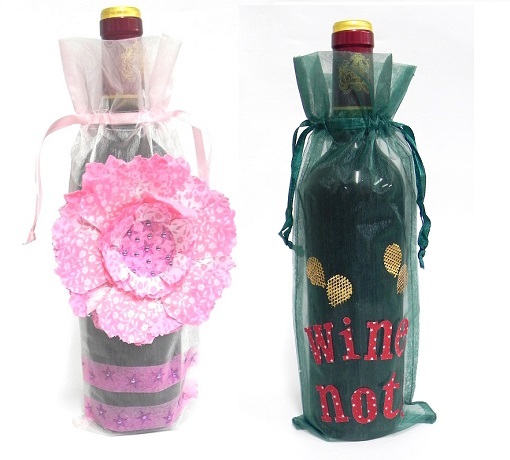 Stix2 offer a range of Organza Bags that are suitable for bottles. 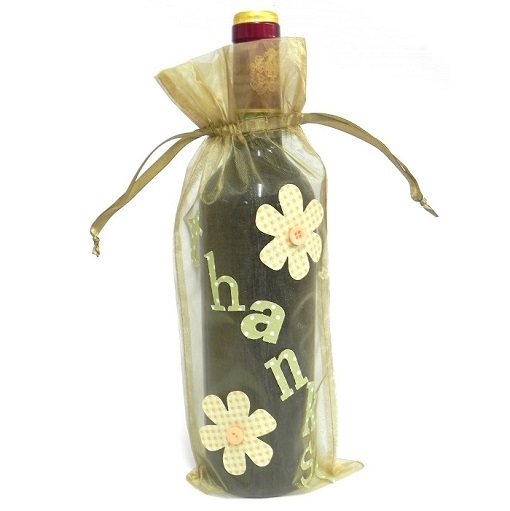 They are great to decorate with the Stix2 with Heat Range to help make giving a bottle that little bit more special be it a Birthday, to say Thank you or Congratulations. Handmade by Jenny Redfern and Debbie Frost. When creating Canvas work you need to get your chosen image spot on or this can ruin your art work. Did you know you can use the Stix2 PVA Glue and Tissue Paper to help with this. 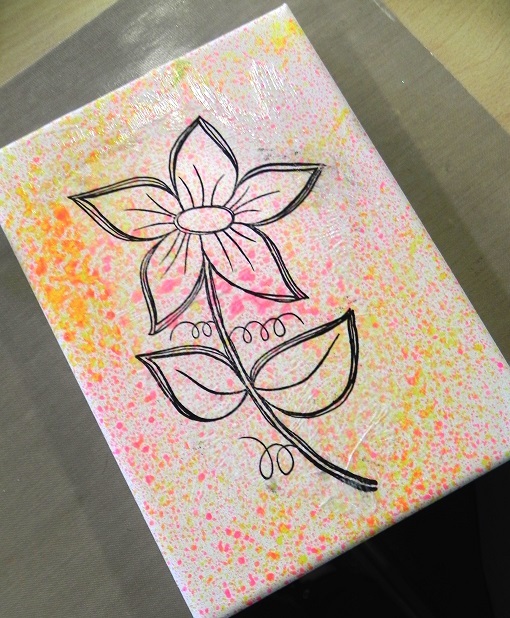 Apply a thin layer of PVA Glue to your Canvas to seal in your inks and allow to dry either naturally or using a heat tool to speed the process up. 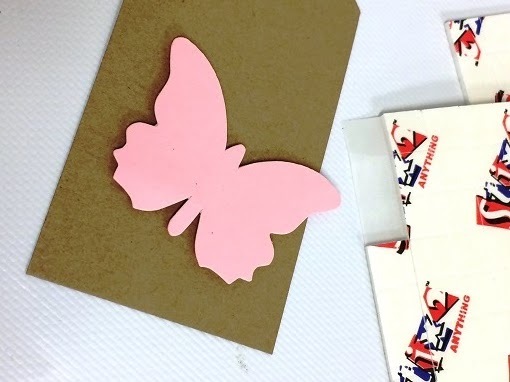 By stamping onto the Tissue Paper and heat setting with the Craft and Mixed Media Iron and Parchment Paper you can position your image perfectly without the ink running when wet. 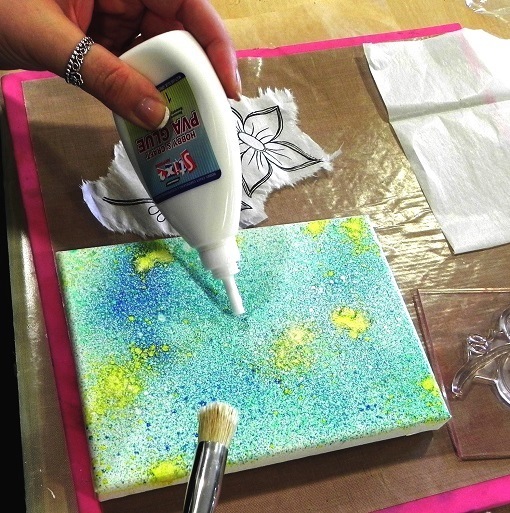 Apply a thin layer of PVA Glue for a smooth finish or dab the brush over the top for a textured effect. 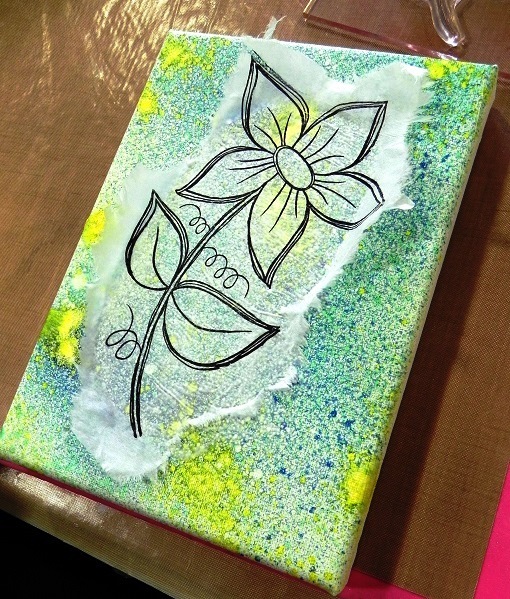 This allows the Tissue Paper and your image to blend into to the background you created. Again allow to dry naturally or using a heat tool.